The journey will lead across the great central Tibet of U-Tsang to the western Ngari. This tour is the best Tibet group tour if you are not very much interested in seeing Tibet rather than taking a picture at the The journey covers all the wishes of travellers who are enthusiast about having insights of Tibet Plateau Experiences. The tour include s almost everything about Tibet, trekking, overland driving, lakes, kingdom ruins and what not. 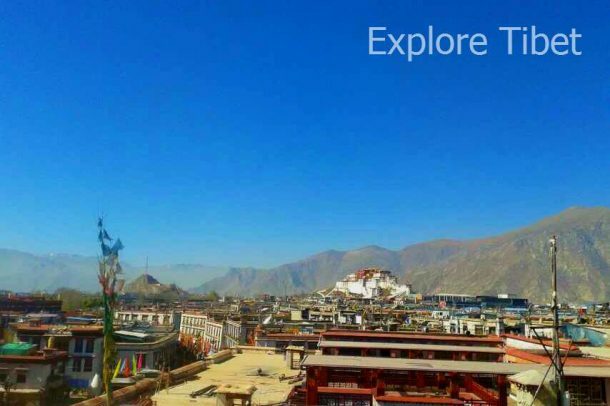 The tour starts at Lhasa with the first day to get acclimatised with the altitude and another two days sightseeing around the city, then moves on to Shigatse along the hypnotising blue Yamdrok Lake, and through the ancient princely state of Gyantse and its wide laid fields. In Shigatse, the second largest city of Tibet is especially known for its active night life. Moving on to Lhatse the next day, starts more of the real Tibet with lesser of Chinese constructions and more of wild plains of the Tibetan Plateau and Lakes. At last the Kailash appears like a blessing for the long journey, crowded by pilgrims and locals. Our local Tibetan tour guides will take you on the three days trekking around the holy peak.